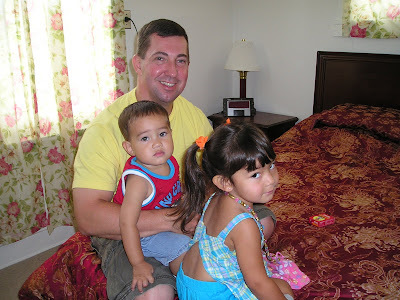 I am so thankful to God that HE gave me a very humble man, a very good father to our kids and a loving husband to me. I can't ask for more. He is so responsible, hardworking, smart and understanding. Seldom you can find a man who help you clean, take care of the kids and help you cook. I am thankful that John is "that" guy. When I came home from work today, he already prepared pork ribs for our dinner. Thank you Hon for being such a loving husband and dad! The only thing that I am not very fond of my husband are his rotten farts (utot), gosh when he nort it always wreaks... But despite of that I still love you Mr. Farty hehehe..